It's time to think INSIDE the box. Here's how Marley Spoon is streamlining your dining, and how you can make the most of your Marley Spoon moments! Cooking with Marley Spoon means eating sustainably, supporting local businesses, and simplifying dinnertime to give you back the time to enjoy what you love. 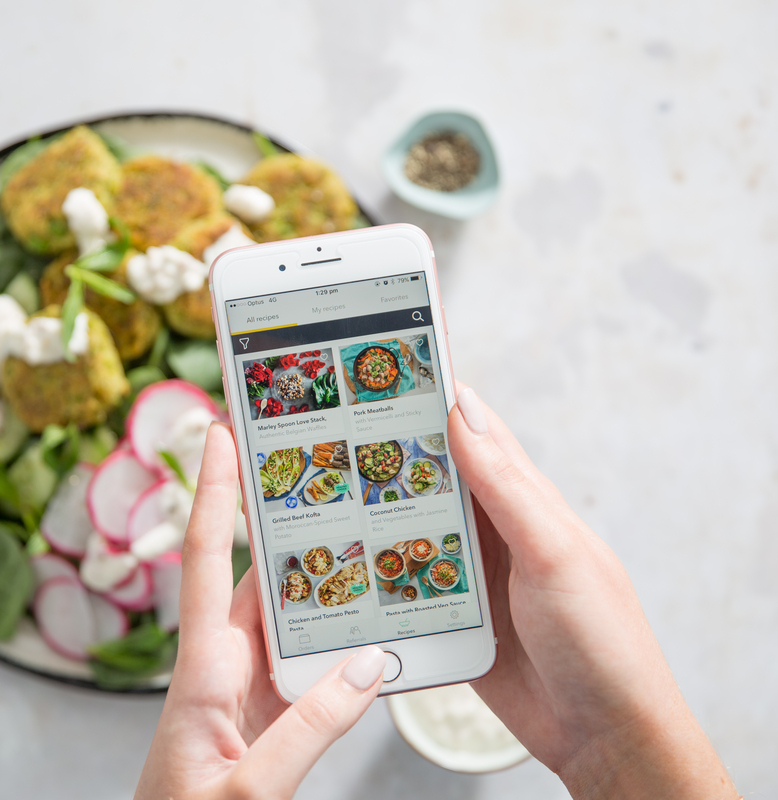 There are lots of ways we help in the kitchen but we understand busy people don’t always have the time to explore all the many tricks and tips we’ve built into the Marley Spoon experience for you! Imagine this - Marley Spoon for dinner, PLUS snacks and even breakfast juices?! Our Fruit Box is jam packed with 3.5kg of locally-sourced fruit. 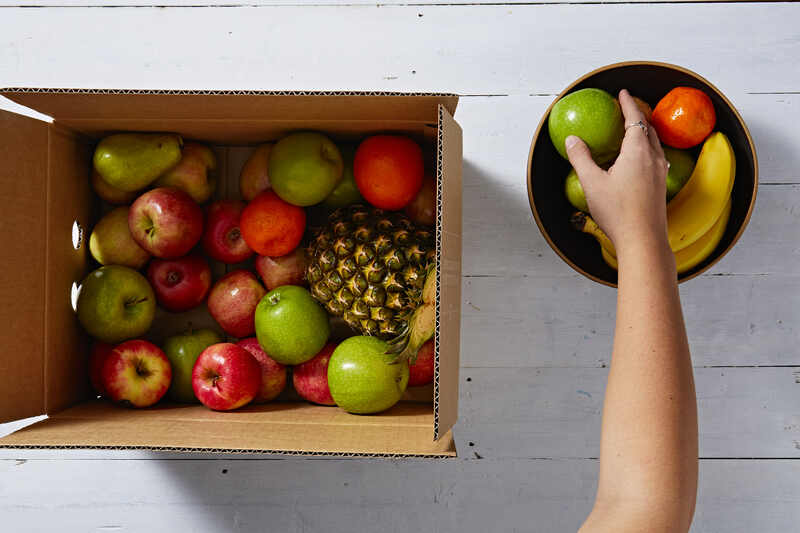 With every box, we’ll feature a special type of fruit. This could mean something exotic, like mango or pineapple, or maybe a fruit at its seasonal peak. Fruit stays fresh & firm for 4-5 days, which means you have plenty of time to snack, bake, or blend it. No, we’re not writing in a French accent. But we ARE obsessed with our app. It’s got all your previous and upcoming orders - and it’s the perfect spot to edit your menu on the go for up to 4 weeks in advance. You can also let us know if you’re going away (lucky you!) or you need to pause your deliveries for whatever reason. If you accidentally recycle your recipe card early (guilty), you can use the app to cook and you rate your meals on the spot. Be honest - we love real feedback, and we discuss your thoughts every week at Marley Spoon HQ. There are two types of Marley Spooners - the organised meal selector vs. and the whatever arrives is great kinda person. Luckily, we serve both personalities! The most important tip for both people is to select your food preferences in your account details section so we know what you love. This means we’ll auto-select the best meals for you, even if you don’t get a chance to curate your own menu. We know that dinnertime means something different to everyone, so we give you the freedom to choose what best suits your lifestyle each week. Every recipe we share reflects our love for seasonal ingredients and fresh flavours. We’re foodies who love to chat! Just call 02 6145 2910 or send us an email at contact@marleyspoon.com.au. Our customer care team are available on Monday, Tuesday, Wednesday and Friday from 7am - 7pm, Thursday from 9am - 5pm, Saturday from 8am - 4pm and Sunday from 9am - 5pm. We think that cooking at home is obviously the healthiest dinner option. We also know that sometimes, supercharging your healthy dinners is a priority. That’s why we introduced a large selection of "Healthy Choice" dishes each week - four healthy options in both our 2-person box and our 4-person box. 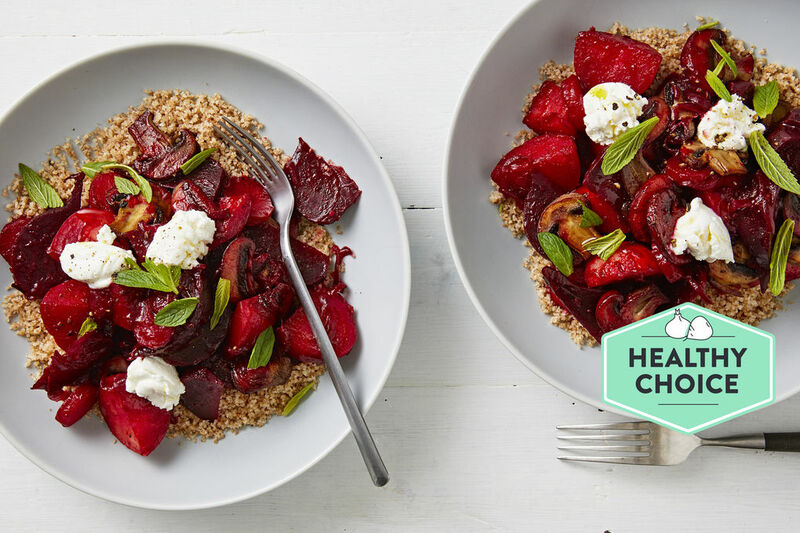 "Healthy Choice" dishes use whole grains, lots of high fibre vegetables and lean meats, and very little oil, sugar and salt. So what are you waiting for? Grab $35 off your first box now!